A Houma-based insurance company is using its local knowledge of the oil and gas industry to protect business owners and employees from frivolous lawsuits in these hard economic times. This regional company knows how vital the energy sector is to the Bayou Region. “No” is not an answer in the oilfield. When oil is up employers and employees are doing what it takes to supply their customers. Well, it comes as no surprise that when oil is down companies need to find innovative ways to save money and to cut costs. Alford and Associates has headed this demand from the oil and gas industry that will benefit them far beyond this downturn in the sector. Alford and Associates provides customized employee benefits packages but is always on the lookout for a new angle on traditional products. Through their intimate knowledge of the oil and gas industry these insurance brokers have proposed a unique product to companies. This product insulates businesses against liability to a large extent and ensures workers would be covered in the event of calamity. The brokerage firm is able to draft long-term disability contracts between a company and the company’s employees, using offset language related to the Merchant Marine Act of 1920, better known as the Jones Act. The Jones Act applies to those who spend at least 30 percent of their working hours on a boat and thus qualify as seamen. 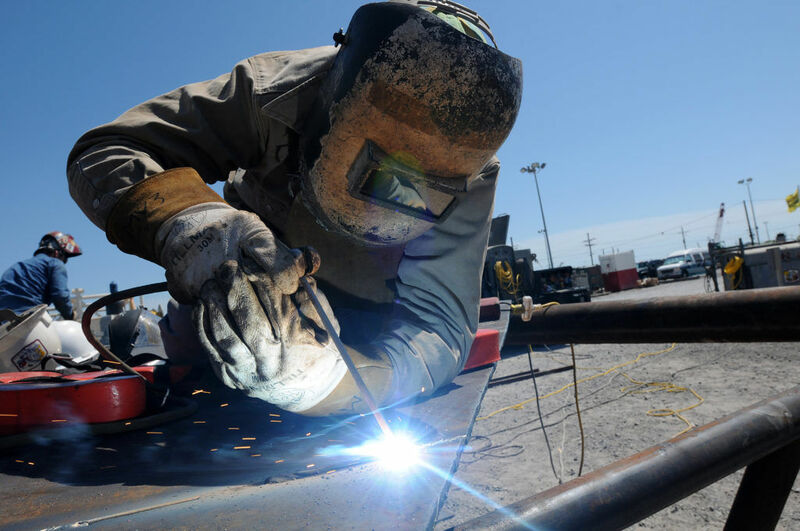 For a seaman who gets hurt while working, they are subject to maintenance and cure payments from their employer. That payment will cover less than a fraction of the employees’ previous take-home pay. Alford and Associates establishes contracts for long-term disability in order for the employee to reach 60 percent of their original salary tax free. State law requires a long-term disability carrier to place in reserves the total disability payment a worker would receive until retirement age upfront, even though it will be paid in monthly installments. For example, if a worker on disability would have made $1 million at his or her current wages until retirement, a disability company would have to put $600,000 into an account to pay out. If an employee were to sue, this $600,000 would be reduced and possibly depleted based on the amount awarded to the employee. The employer would have to pay out-of-pocket for any money that exceeded what was in the disability reserve fund. Also, the money within the reserve fund would not cover attorney’s fees, if the offset language was properly used. The money that was going to be paid out by the insurance company, regardless of a lawsuit, would now be used to mitigate the losses resulting from a lawsuit, according to Alford and Associates’ insurance consultant Justin Bourgeois. “You’re getting sued for $1.4 million? We just insulated you from $600,000 worth of risk,” Bourgeois said. Bourgeois said the long-term disability coupled with the offset contracts helps insulate employer liability against the first layer of suits, in addition to providing coverage to employees if they were hurt on the job. According to Bourgeois, companies are not required to cover 60 percent of an employee’s salary and could forego the long-term disability. They are only required to pay maintenance and cure. The protection we provide is a win-win for the employers and employees. “They’re not forced to buy this type of disability coverage. Doing the right thing is a choice that clients will have to make for themselves. The employers that we represent and that we know, they’re always going above and beyond for their employees to take care of them,” Bourgeois said. Bourgeois said the contracts also provide workers with a sense of security, knowing they have a rock-solid income stream in the event of a debilitating injury. Bourgeois said he has seen long-term disability contracts that are actually nothing of this sort. “You have people that have long-term disability, and it’s only a two-year benefit, and it’s about the same price. I’ve seen it a hundred times, and that is almost negligible on the broker’s part to call it long-term disability.” Bourgeois said. Alford and Associates owner and CEO Tony Alford said the marine contract services they provide are seemingly unique. Bourgeois said he has heard about only one other company, states away, who has also delved into marine disability contracts in a similar vein. According to Alford, their expertise in the field is another facet of their ability to precisely serve their customers.